Game design is impossible. The business has its own pitfalls and benefits attached to it, but those are often marred by the fact that making games is a hard journey. Between all the different designs you’ll have to go through, the people you have to hire, and the art you have to create, creating a title will make you bleed. However, some of the people inside the industry understand this aspect of gaming, and have actually reached out to make the whole process easier on new comers. This little handout comes in the way of game design software. A lot of them are free, but for professionals, buying these programs might be the best choice. This program should be labeled a product for the very novice of game designers and developers. 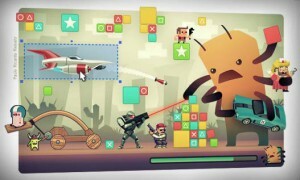 It features a very simple interface that can be used to make shooters and platformers. The custom game, which Sploder creates, always comes out as flash, which is arguably one of the best places to start anyway. 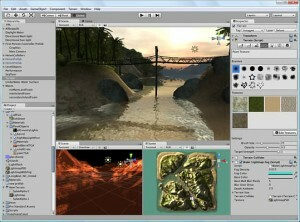 It features a drag and drop interface, and your games can also be shared with other Sploder users, making it a community application. 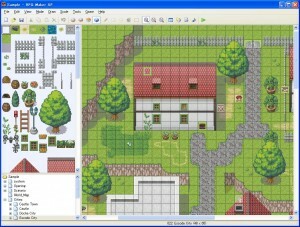 Yet another beginner program RPG Maker is well known all around the gaming community as an awesome place to start designing. It features many tropes of those old 16bit RPG games that were in the rage during the early 90’s. Along the way, the program usually holds your hand through the process of creating your world and story, which is also supplemented by countless FAQs and forums discussing the program. For the fledgling designer who has more than a few games under their belt, Multimedia Fusion 2 is the next logical step in design. It contains and intricate system that details a lot of design when it comes to levels, characters, and actions. The design also allows for easy assignment of behaviors to objects, as everything can be done through dragging and a little bit of event planning. Overall, this is a powerful program that any designer should try out in the long run. 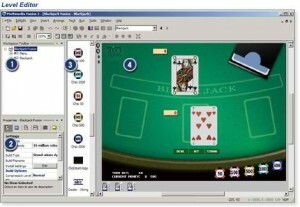 Construct Classic shares a lot of the same tropes with easy to use designing software in that it is very easy to use. The classic version of this program boasts the ability to create Direct X titles with the addition of an awesome physics engine, even system, and fully realized pixel shader effects. The program is ideal for creating prototypes, but can also be used to make simple games. In terms of 2D game design, Flixel reigns supreme because of one very important fact. A created game with the Flixel engine can be distributed freely, with no need to purchase a license to distribute the said game. It also got one of the most supportive forums as the program is constantly updated with improved collision and even boxes, along with countless 2D objects. The Unreal Engine is an iconic design program, and there are tons of titles that prove the very same. It has been in use for so many years that no one can dispute how powerful it really is. 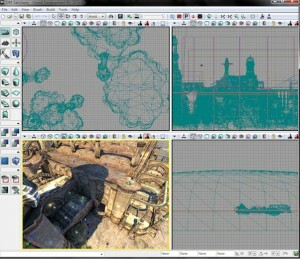 At the same time, it’s a very good intermediate level design program, as it features a full 3D workspace where designs for levels and characters can all be made. Be forewarned though, this is a very professional program, and if you intend to create game, you’ll have to pay $100 plus royalties for each sale. 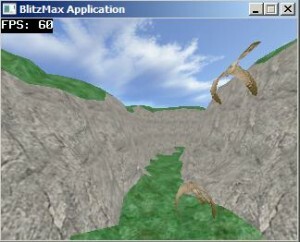 For beginners that want to upgrade from 2D to 3D without too many hiccups, Blitz Max is the perfect tool to translate that journey. It features a very fundamental approach to 3D games design, buy at the same time, it doesn’t restrict the user in too many ways. In terms of graphical quality, don’t expect too much out of it as the aesthetics are based on the most fundamental designs. One of the reasons why Pygame is on this list is because it deals with the Python programming language. This makes it a very big contender as Python mostly belongs the PS3 format, and is a tricky language to master. However, this program, with the many countless tutorial books makes it easier to grasp every concept required in making games. 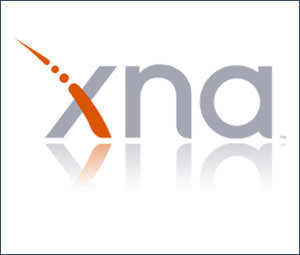 XNA is the prime language you should pick if you’re really considering getting serious with games design and creation. The design program has countless different titles under its already well established repertoire, and that is still fast growing. However, you also have to be aware that the software is on the technical side of design, as you may see in games Spelunky or Magicka. 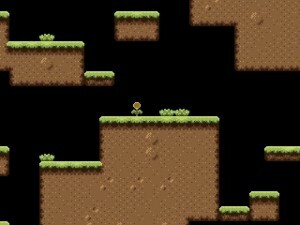 We can’t all be masters of programming languages, and certainly, not all of us have the ability to create game engines from scratch. This is basically the idea behind Unity 3D, and it upholds that same ideal very well because it takes a very hands-off approach to your design. There are many different tutorials on how you can get started on this engine, so starting now might be beneficial to you. Do any of these programs let you release your games on the 3DS or Wii U? Which do you think are good for small team indie game development? and Which programming language do you most recommend learning? To release a game in any console format you must buy a developer kit from the company. Um, how can you write an article like this and not provide even a single link???? do you know WiMi5 ( http://wimi5.com )? It´s a HTML5 platform for creating casual games (you can also publish and monetize your games in the same site). It´s free, based on a revenue share business model, the developer get 70%. As any HTML5 game you can wrap your project and put it in the iOS or Android markets.